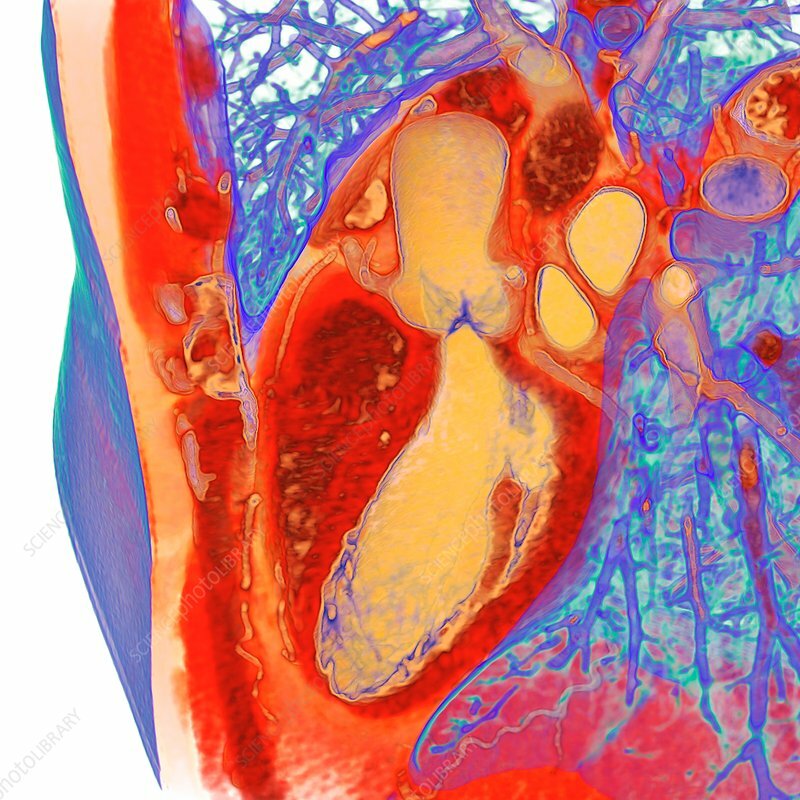 Heart and left ventricle, 3D coloured computed tomography (CT) scan. The heart is a hollow muscular organ that pumps blood around the body. It is divided into four internal chambers (atria and ventricles). The ventricles are the larger chambers at the base of the heart that pump blood to the lungs and around the body.